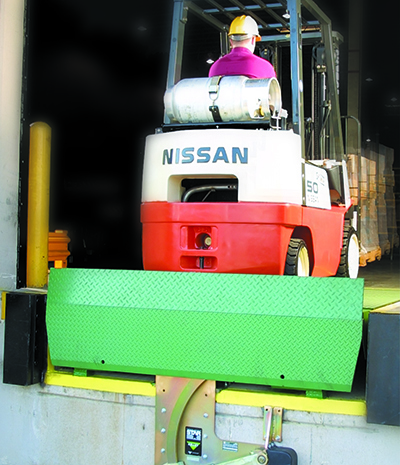 Kelley revolutionized the industry in 1994 by bringing air bag lifting technology to the loading dock, introducing the air-powered dock leveler. 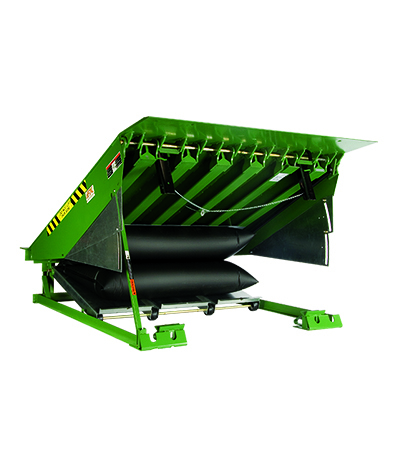 This innovative product is simple, durable and contains minimal moving parts, so operation runs cleanly. The Kelley aFX® series dock leveler takes the loading dock to the next level of performance, adding a proprietary airDefense® Technology leg design. When your warehouse needs safe, powered performance at an affordable price, the air-powered dock levelers in the aFX series are your best choice. The aFX® is the original Kelley air-powered dock leveler that revolutionized the industry. In addition to delivering safe, powered performance at a cost comparable to mechanical dock levelers, the aFX® features airDefense® Technology — eliminating stump-out and providing a measure of free-fall protection. The aFX® is also backed by the strongest warranty in the industry, with a rated lifetime lip hinge assembly warranty, 10-year structural warranty, and a 5-year parts and labor warranty on the lifting system. It’s the preferred choice of warehousing operations worldwide. Create a custom submittal package for your project. The Kelley aFX-S dock leveler provides the same proven air-powered performance, design features and warranty as the aFX®, but also incorporates a 5″ high, full-width, constant structural steel barrier, capable of withstanding a 10,000 lb. load at 4 mph. Get 100% full-time safety at dock level, as well as below-dock end-load situations, and prevent accidental forklift runoff. The aFX-C is an ideal economical solution for applications needing only the basic air-powered dock leveler performance benefits. It incorporates single push-button control with the standard, high-volume, low-pressure air activation system. The Kelley aFX-C comes with a 5-year activation system warranty. An analysis using our exclusive Energy Loss Calculator can show you potential savings. Air bag lifting technology was developed in the 1940s, before hydraulics. The safety industry commercialized it to raise and stabilize derailed train cars, overturned tractor-trailers, and even collapsed bridges. 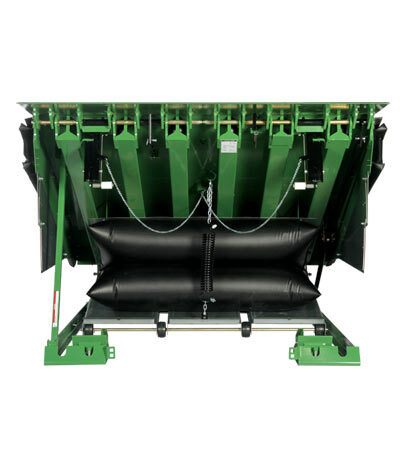 Soon after, innovation brought this same dependable, economical lifting technology to Kelley dock levelers, eventually making the aFX dock leveler the most popular model on the market. airDefense is a proprietary leg design and free-fall protection system with special sensor rollers that glide along a reinforced cam, purging stump-out and providing fluid, free-float motion, along with a measure of free-fall protection in the event of premature trailer separation. airDefense gives a more cost effective option than hydraulic dock levelers to obtain stump-out-free operation. This simple mechanism uses deck weight and gravity to automatically extend the dock leveler lip. No manual flip-lip, no hydraulic assist and no adjustments are required. The gravity lip on Kelley dock levelers has been tested to over 100,000 cycles. For decades all dock levelers installed in a concrete pit have required an installer to place and weld steel shim under the rear frame of the dock leveler in order to level the device and provide long-term support. This conventional process can lead to install errors as installers are often working under the dock leveler in a cramped environment and may not use the correct size shim and/or weld the shim properly. The result… the dock leveler can suffer structural fatigue which may lead to expensive repair or replacement.